Home Soccer Sarri did not greet Guardiola at the end of the game: "I did not see him ..."
Sarri did not greet Guardiola at the end of the game: "I did not see him ..."
The City coach waited for Chelsea to shake his hand after the final whistle. Both coaches explained what happened at a press conference. The victory that Chelsea suffered at the hands of City made a dent in Maurizio Sarri. 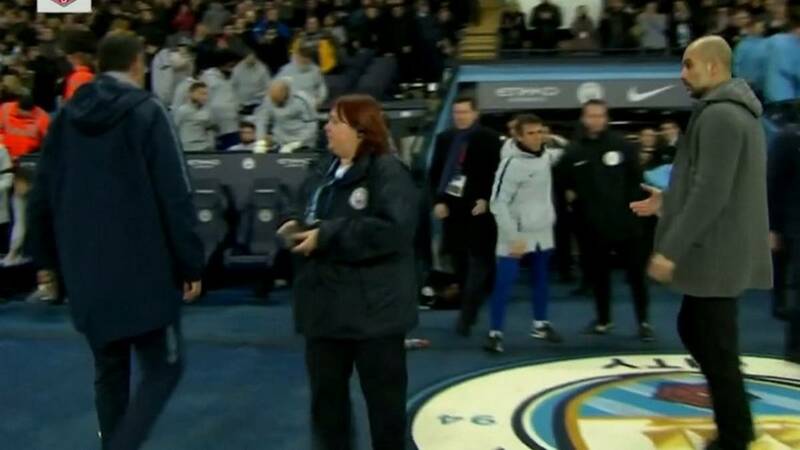 The Chelsea coach left the Etihad pitch visibly upset by the result and did not greet Pep Guardiola, City manager. Guardiola waited near the dressing room to the Italian coach, who without looking up he went to the locker room . An attitude that surprised the Spanish coach, with whom the assistant of Sarri, Zola, was greeted. In the images you can see how Guardiola chatted friendly with the assistant of the blues with the face of circumstances for the attitude of the Italian. In the statements after the game Guardiola played down the issue and said he was Sarri's friend and that nothing happened between them: "I spoke with Zola and he told me he did not see me, I have an excellent relationship with him so there is no problem". Sarri, on the other hand, was on the same line: "I did not see him, I just left but you know that I have an excellent relationship with him" .